Home of the tradition-rich Hong Kong Open, one of Asia’s most prestigious professional tournaments, the Club is known throughout the world for its reputation as a first-class championship host. As the venue for the historic Hong Kong Open, the oldest professional sporting event in the city and the second oldest professional golfing title in Asia, championship golf is at the very heart of Hong Kong Golf Club’s fabric. The inaugural Hong Kong Open took place in 1959 and Club has played host to it every year since. Indeed, along with the Masters Tournament at Augusta National, the Hong Kong Open is one of only two professional golf tournaments that have been held at the same venue every year for more than half a century. From fairly humble beginnings, the Hong Kong Open has blossomed into one of the most prominent tournaments in the region. Co-sanctioned by the European and Asian Tours, the event has been won by no less than 12 different Major champions, including such luminaries as Rory McIlroy, José María Olazábal, Greg Norman, Justin Rose and Peter Thomson, and has provided a collection of the most exciting finishes in Asian golf history. 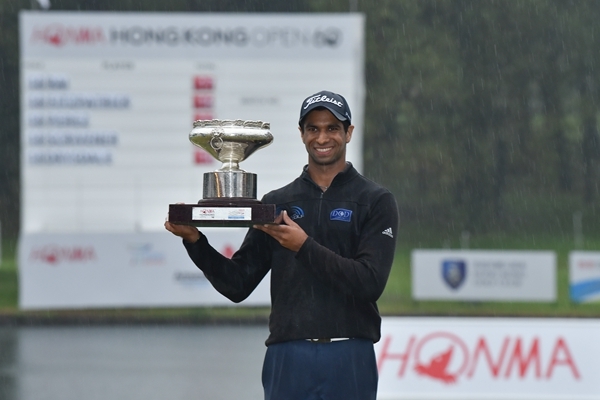 The 2018 Hong Kong Open, sponsored by Honma, was won by England’s Aaron Rai. Outside the professional game, the Club has over the years staged numerous prestigious amateur tournaments, including the World Amateur Team Championships – otherwise known as the Eisenhower Trophy – in 1984. The Eisenhower Trophy is a biennial international amateur golf competition rotated among three geographic zones – Asia-Pacific, American and European-African – and features the very best amateur golfers in the game. More recently, the Club hosted the 37th Queen Sirikit Cup – the premier ladies’ golf team championship in Asia-Pacific – in 2015, as well as the inaugural Hong Kong Ladies Open in the same year. The Club will co-host the 2020 World Amateur Team Championships with Clearwater Bay Golf and Country Club.